The Laboratorio Nacional de Fusión (LNF) is the Spanish centre of reference for magnetically confined plasma fusion studies. It is member of the EUROfusion Consortium initiated in 2014 and it belonged at Euratom-Ciemat Association until 2013. The LNF is included in the Spanish Map of Unique Scientific and Technical Infrastructures and is part of the Centro de Investigaciones Energéticas, Medioambientales y Tecnológicas (CIEMAT), located in Madrid, which pertains to the Spanish Ministry of Economy and Competitiveness. CIEMAT is a public Research Agency and its activities include research in technologies and in fundamental science related to energy and the environment. Since its foundation in 1951, as JEN (changed to CIEMAT in 1986), it has been at the forefront of international research and technological development, focussing on projects that provide a link between R&D and the needs of society. Research at the LNF, on a European and international level, revolves around two main activities: on the one hand, the study of high temperature confined plasmas, and on the other, the technology needed to construct and operate fusion reactors: materials, superconductors, tritium production, energy extraction, remote maintenance, etc. 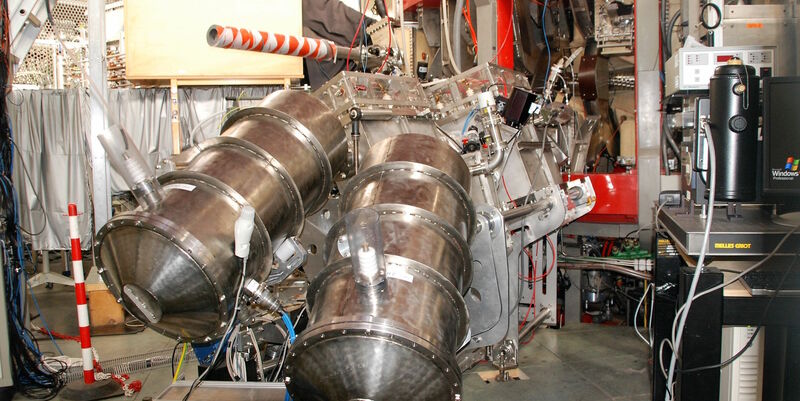 The first goal of the Laboratorio Nacional de Fusión is the development of the “stellarator” concept. This has been undertaken through the scientific exploitation of the TJ-II stellarator device, located at Ciemat, within the framework of the European Fusion Program. In the field of fusion technology, the LNF focuses on studying the modification of materials by irradiation. For this it has laboratories for characterizing the chemical, physical, and mechanical properties of materials. Currently, a new laboratory is being created for the study of tritium regeneration technologies (Li-Pb loop, characterization of “breeders”, tritium permeation, etc.). Modelling and computational simulations are also used to investigate the formation of defects in materials under irradiation (neutron, ion, electron) and their subsequent evolution and interaction with the microstructure, which often is not accessible to characterization techniques. Different modelling tools such as Molecular Dynamics, Object kinetic Monte Carlo, Binary Collision Approximation and the Rate Theory are used to study the effects of radiation in materials of interest for fusion at different scales of space and time. 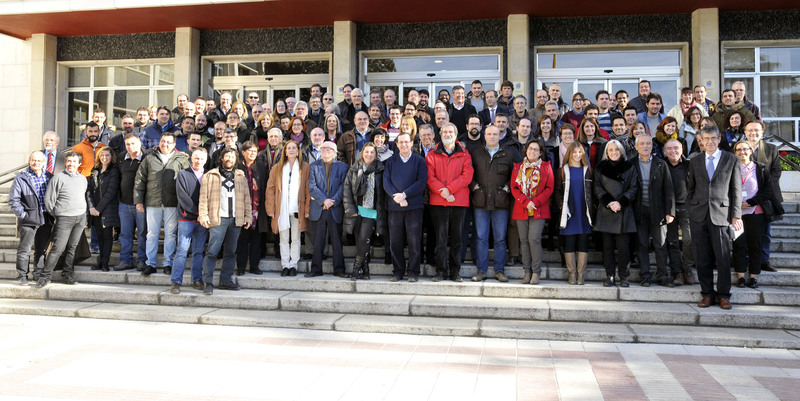 The LNF centralizes fusion research in Spain while also leading Spanish participation in the construction of ITER. It was also a key participant for achieving placement of the European F4E Agency in Spain. Moreover, it has been a leading player in Spanish participation in the ‘Broader Approach’ agreement between the European Union and Japan, as well as the projects included in the ESFRI roadmap: the International Fusion Material Irradiation Facility (IFMIF) and the Tokamak JT-60SA, and in the European Fusion Programme. Such involvement has provided a strong socio-economic impetus for Spanish industry, which has become a highly competitive supplier for the construction of fusion devices, especially ITER. 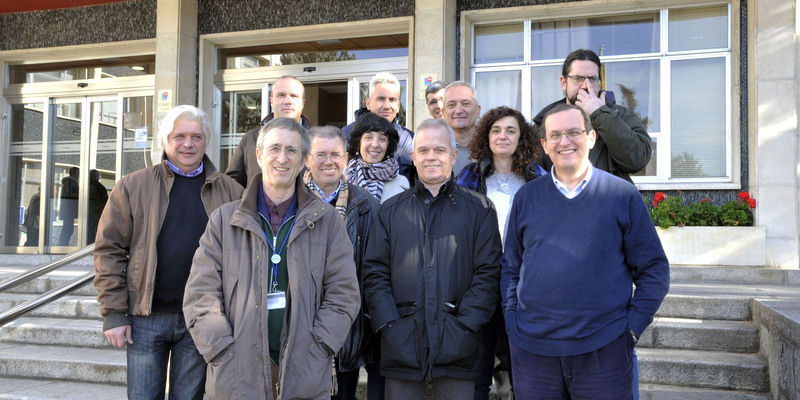 The Laboratorio Nacional de Fusión is a member of the EUROfusion consortium, which comprises 29 fusion research organisations and universities from 26 European countries plus Switzerland.